The Black Rosebud Thinner is a stunning cutting tool and will remove lines and leave a soft finish. 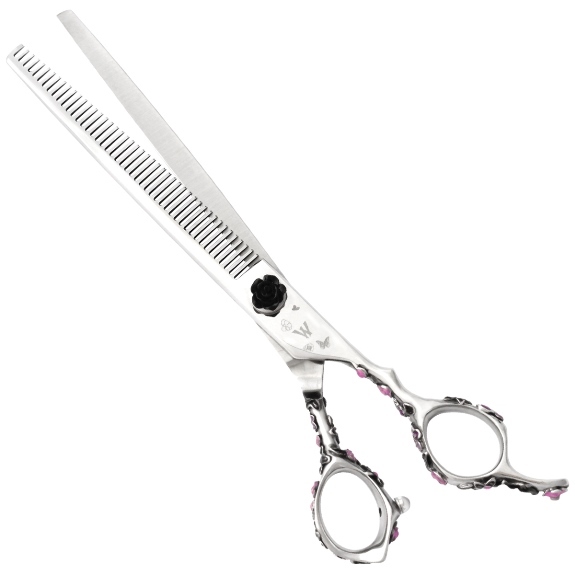 The Black Rosebud 48 Tooth thinner is a stunning hair cutting tool. Made from Japanese 440C Steel for long-lasting performance. This shear features colorful floral embellishments that decorate the comfortable offset handle and a charming black flower dial. A great tool for blending lines and leaving a soft finish.